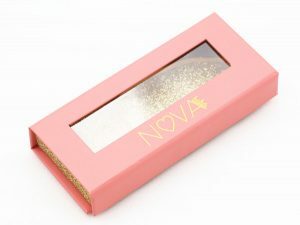 False eyelashes are becoming increasingly popular by the day and you can now find them not only in fancy dress shops, but in local pharmacies. boutiques, shopping malls, across the internet and even on the shelves of all the big supermarkets. Eyelashes frame our eyes and whether we consciously notice them or not, they do have a great impact on how others view us and vice versa. Long curling lashes have long been sought after by women through an endless array of mascaras, lengthening juices, gentle brushing and teasing. Men on the other hand are often deemed to be born lucky with beautifully thick, enviable lashes. So do false eyelashes improve your appearance? Well in a nutshell, yes. They can improve it wonderfully, but if not applied with care, they can just as easily destroy your appearance and make a fool of you into the bargain. Traditionally false eyelashes were worn by drag queens and men dressed as women in pantomimes or the theatre – great, gaudy clumps of ornate hair would sit atop their eyelids looking like they weighed a ton, but successfully creating that comedic air of hilarity. burlesque dancers and women in the cabaret shows could wear equally outrageous lashes and portray them in a much more sensual and seductive way, creating an elusive dream of ecstasy. The eyelashes available on the high street today are certainly designed to create the second illusion and with an increasing number of false eyelash fans, they certainly appear to be doing a great job. sizes, styles and colours. 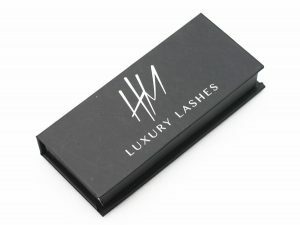 The most popular are the ones which are black and most like ‘natural’ lashes. However, these also come in many shapes and sizes; some fan out equally, some curve in a gradual sweep, some have lashes close together, whilst others have lashes further apart. They come in varying lengths from short and blunt to long and luscious. MAC, Shu Uemura, DUO and Eyelure are some of the more established brands of ‘natural’ styled lashes. 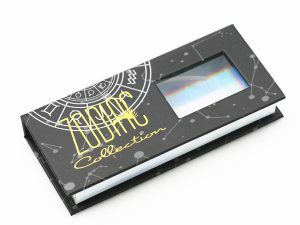 Lightning Lashes are a brand which is more outlandish and fun, featuring many bright colours and feathery adornments. A big part in how successfully you wear a pair of false eyelashes goes hand-in-hand with how you apply the eye-make surrounding them. As easy as it is to apply a dab of glue, stick the lashes to your eyelid and off-you-go, you really need pretty deep-set and stunning eyelids to carry this look off as easily as that. If you look closely at the cabaret dancers you will see that they have the liner painted on to perfection, this in part has a lot to do with the strip lash provided and how big or black the strip pertains to be. It is a good idea to always start out your false eyelash regime with a straight forward application of liquid eyeliner, to define your lash line and ensure no ‘naked skin spots’ are left apparent. with a brighter colour on the inside graduating to a darker colour on the outset. This really doesn’t have to be the full-on dark ‘Smokey’ effect, but by graduating your colours, even from white to pale pink, you will create a backdrop for the lash, a real-life shadow effect, which will go a great way in enhancing your overall appearance. False eyelashes are a wonderful invention and any beauty lover should give them a try, even if it is just for comedic value. It’s great to see the effect they can have on your overall appearance and how effortlessly they can enhance your femininity. We are Mink Lashes Factory,Wholesale 3D Eyelashes Private Label.Welcome to inquire.